Paperless HR Department: How and Why? In a company or organization, the role of the HR department is trivial. The HR department has to go through a lot of activities for its functioning. Most of the HR activities happening are through offline modes and so will require a lot of paperwork. Paper works are always tiring, time consuming and non-economic. Moreover, these methods are always error-prone. So switching on to something more productive and economical is always a wise decision. This is why HR department should go paperless. 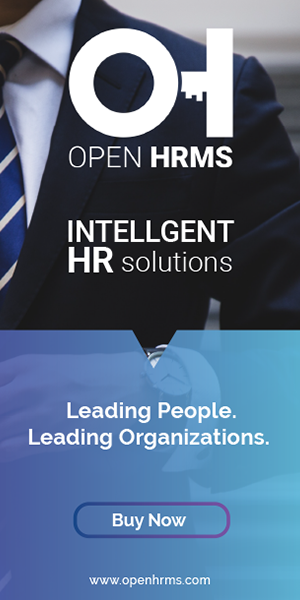 In this blog, we will see how the HR department can step up to the paperless mode and thus improve its efficiency. Paper usage can be budget killers, it is not because paper sheets cost a fortune, it is because of the related activities along with papers which can destabilize the budget. Activities like filing cabinets, using of printers, printer inks, office space allocation for paper works and maintenance come along with paper works. This definitely can eat your budget. Now let’s see the smart ways through which we can switch from paper usage. Physical signatures are always risky when it comes to a business firm since the originality can fluctuate from time to time. Also when physical signatures are used, the paper is a must and so paperwork comes to play. When physical signatures are used there will also be inconveniences of scanning it, printing it etc. Now when e-signatures are used all these problems can be solved along with added advantages such as time and money saving along with more security. This is not a physical technique, instead, this is a psychological technique. Here the HR can encourage the employees to go paperless and go digital instead. Employees can use digital formats for office related activities and works. HR can also provide some kind of appreciation in form of prizes to employees with low print rates, low paper usage etc. Paper forms are an integral part of every company. This fashion can be changed by introducing digital forms which can save a lot of money and also eliminate the inconvenience of paperwork. Various forms like evaluation forms, feedback forms, application forms, time-off forms, reimbursement forms, and agreement forms can be digitized for easy working. Most of the documents related with an office are handled via papers. When these documents are switched to PDF formats it creates better accessibility and easy usage. Since PDF’s are mobile friendly the document storage become easier. Also creating documents digitally reduce the risk of physical damage, losing etc. The normal method a company adapts to store an employee file is the offline method which uses paper. Keeping this file and taking it out each time for various purposes is not an easy task. Same is the case of storing various documents associated with the company. The cloud storage systems which are available now can be an effective alternative. The cloud storage can provide efficient storage facilities for files along with easy accessibility. Also, the security provided by cloud storage is on the higher side, since only authorized persons can access the files which are not the case if we use regular paper document storage. The recruitment process is another area where a lot of paper works are happening. The recruitment process can be carried out digitally. With techniques such as e-signatures, electronic documents etc. smart recruitment without paper usage can be done. Also making use of emails, text messages, digital resumes etc. can eliminate the use of paper and increase the efficiency of the overall recruitment process. The new employees hired to a firm or company will be required to fill so many company related documents. This can be changed into the online format where the employee will find all the details in an online form and after filling it can be saved and used by the company. Also, other documents associated with the employee like contract letter, payslips etc. can be digitized. The traditional paycheck method has given way to direct deposits in the majority of the companies. But still, the pay statements are provided in offline paper mode. This too can be changed by the use of online pay statements. These pay statements are transferred through secured channels which can only be accessed by the employee. There will be a password to access the pay statement which is sent in the form of encrypted emails. Thus payroll management can go paperless. These are some of the ways through which we can turn the HR department to paperless working. Why should we go paperless? Going paperless has got many advantages. It actually helps a company in many ways. It is not just for the sake of changing the old school ways that a company shall adopt the paperless methods but for the various benefits it will bring in. Now let’s look at the various advantages of a paperless HR department. The regular recruitment process is very hard and time-consuming since the HR will have to go through a bundle of resumes, cover letters, job applications etc. With the paperless adaptation, these inconveniences can be erased. Using online job applications allow you to gather relevant data from candidates through a common source which can be analyzed and stored in a database. The joining day of an employee will be full of paper works like company policies, paper forms, and other important documents. When all these processes are made into the online format it removes the problem of paper works and makes process simple yet efficient. The accessibility of these documents also become easier since you don’t have to go through paper bundles to find a particular document. The employee management, when done in the paperless fashion, becomes more effective. Real-time management is the advantage which we get from paperless employee management. The employee can get connected with the HR department in real time through online methods which can ensure actions are taken without any time wastage. Payroll when digitized reduce a lot of stress for the HR department. The major problems like lost or stolen cheques and late payments are completely erased. Fast payroll reports creation is also made possible when digital payroll is introduced. Going paperless saves a considerable amount of time as well as money. Since all the works are done digitally and online, it will definitely increase the speed of the works and thereby helps in time-saving. Since the usage of a lot of items like printers is minimized, going paperless will help in cost cutting also. The documents get more security when they are made into digital format. There won’t be problems like missing documents, damaged documents, stealing important files etc. when digital documents are introduced. Thus security will be high. These all are the various advantages which we can acquire when HR department goes paperless.